TYLER, TX (KTRK) -- A man who ate breakfast at the same Whataburger restaurant in northeast Texas every day for at least 15 years was remembered in death in a very unique way. The family of Hudson Collins, 94, says he ate at the fast food restaurant on Loop 323 in Tyler every day, even doubling down for dinner a few times a week. Yet all that came to an end with Collins' passing on January 22. 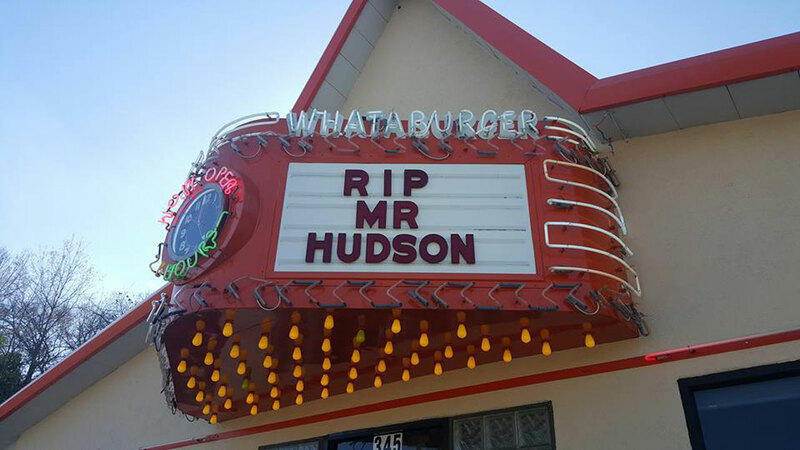 In his memory, the restaurant changed their marquee on the day of his funeral, reading: "RIP Mr. Hudson." Hudson Collins (center) celebrates his 94th birthday alongside two Whataburger employees. His family says they were moved by the gesture when they arrived for lunch at Whataburger after the funeral. 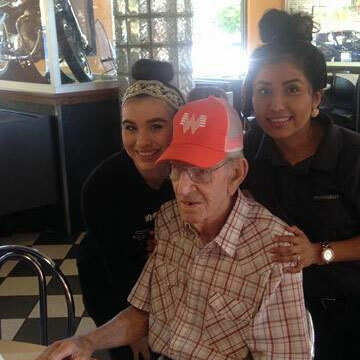 Collins celebrated his final birthday at the restaurant, where restaurant staff set up a covered table, balloons and Whataburger merchandise. The restaurant also stopped accepting money from Collins on Veteran's Day 2015, offering to cover his meals after they learned of his service during World War 2 in the Army Air Corps. Collins served as the first chief engineer for ABC affiliate KLTV in Tyler when the station launched on October 14, 1954.